How can you tell the difference between a travel article/blog by a writer who has visited the places on Tenerife they’ve written about and one by someone who hasn’t? It’s not always easy. The internet means writers have access to all sorts of information about destinations. The best copywriters can write with authority about places they have never visited. 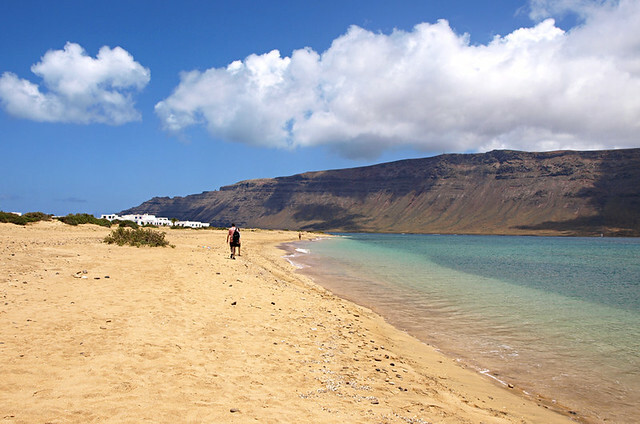 Images like this one are commonly used for Tenerife travel articles, even when Playa de las Teresitas isn’t mentioned. Tenerife is a massively popular travel destination. That’s not telling you anything you don’t know. 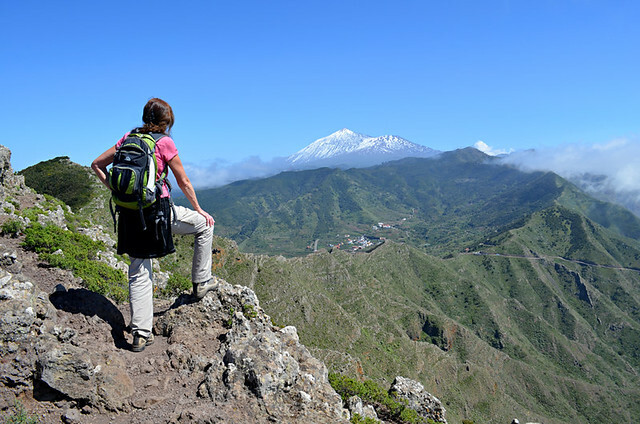 What you might not know is because it’s such big business in the travel world, travel companies are always eager for articles about Tenerife to be published on travel websites and travel blogs. PR companies are hired to produce ‘copywritten’ articles written by people who rarely visit the destinations they write about. Agencies then pay, or offer incentives, to people with travel blogs etc. to post these travel pieces on their sites. Usually there is a link back to the travel company. They’re called ‘sponsored posts’, it’s a form of subliminal advertising. We get offered these virtually on a daily basis and reply with a polite ‘no thanks, not interested.’ Although we don’t publish sponsored posts, in cases where it’s a useful informative article I don’t have an issue with them – people only read about what they’re interested in. The real problem is the majority aren’t good quality and the worst are riddled with errors and misinformation. As soon as you read a variation of ‘Tenerife is in the Mediterranean’ stop reading. The writer clearly doesn’t have a clue where the island is. This gaffe is more common than you might think. There’s one sure way to know someone’s visited the destination they’ve written about. One of the biggest give-aways are photographs accompanying travel articles/blogs. 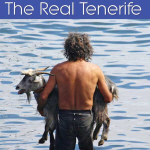 On the Real Tenerife, and our other websites, the photos used have been taken by us. We experience the things we write about and have the photos to show it. In the age of smartphones and selfies just about everyone has the means to take photos. There’s a good chance Tenerife travel articles with ‘photos courtesy of Flickr/Creative Commons/Tenerife Tourist Board’ have been written by someone who hasn’t actually visited Tenerife or done the things they’ve written about. Exceptions to this are newspaper travel articles. Newspapers mostly use stock photographs to illustrate travel articles. I’ll have a bowl of the stuff in the tin box. 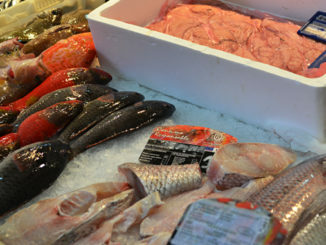 Describing local food when you haven’t experienced it is a minefield and travel copywriters regularly blow themselves up by making basic mistakes. 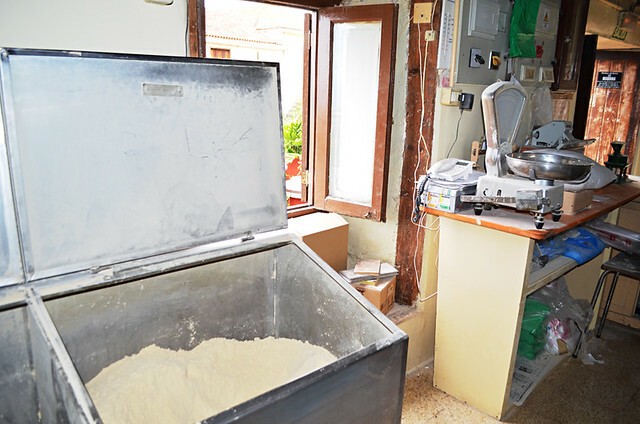 A frequent one relates to gofio which is often described as a ‘dish’ by people who don’t know it is a type of flour. Forget the advice of any article which has anything along the lines of – ‘order a dish of gofio in traditional restaurants’. Whilst gofio features as an ingredient in Canarian cuisine, order a dish of gofio and you’ll be seriously disappointed with what appears in front of you. Tenerife you’ve got nice beaches, but they’re not as stunning as ones like this. Any travel article which talks about Tenerife being famous for its stunning beaches should set alarm bells ringing. Tenerife has nice playas but they are not in the same category as the dream beaches of the Far East, Caribbean or even the eastern Canary Islands. 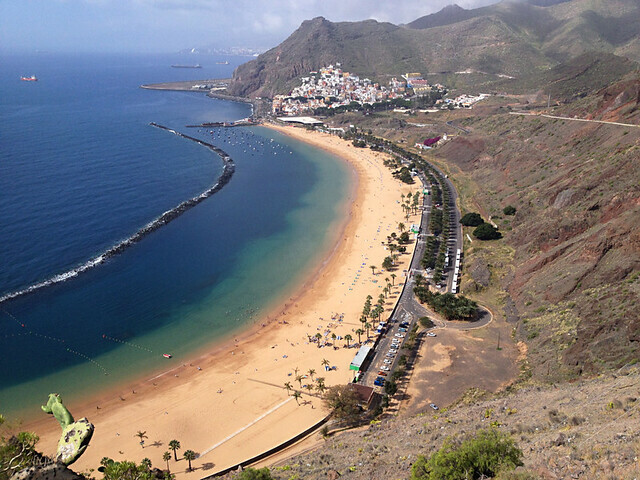 A recent travel blog spoke of Tenerife’s ‘exquisite white sand beaches’ – damning evidence the writer hadn’t buried their toes in any Tenerife beach. What’s a couple of hundred metres between friends? 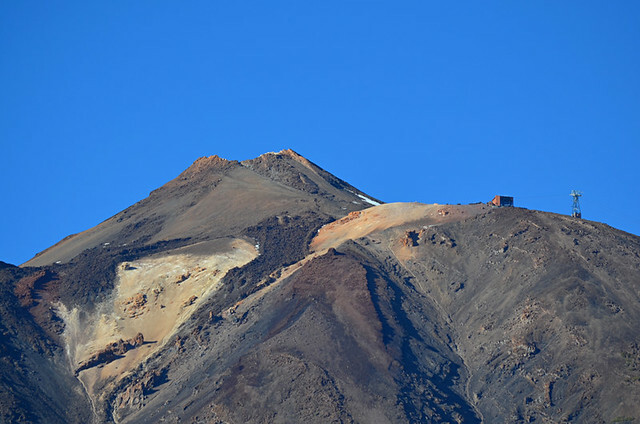 A common error is for people to advise ‘the cable car takes you right to the summit of Mount Teide.’ Of course it doesn’t, but anyone who hadn’t visited Mount Teide or taken the cable car might not know that. The worst example was a travel blog which informed readers a ski lift travelled across the volcano’s open crater. Carnival, the sur-reality is often different from what’s written about it. 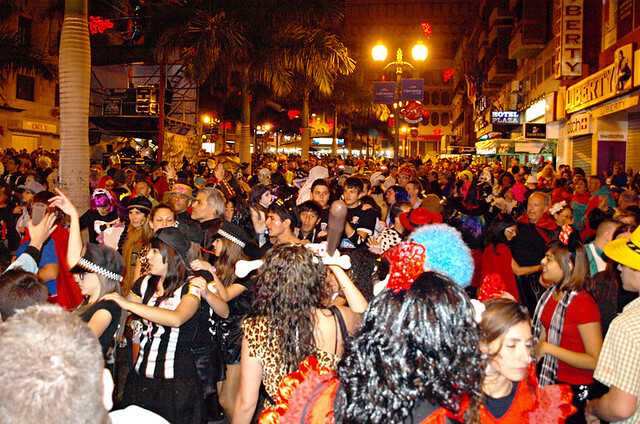 Writing about carnival on Tenerife is hugely popular, but many articles are by people who’ve never experienced the most flamboyant fiesta on Tenerife. There are two ways to tell. One is when a travel article only talks about carnival in relation to Santa Cruz. That doesn’t mean the writer hasn’t been, but it suggests they don’t know much about the island. The main ‘reveal’ is when articles tell readers carnival takes place each year in February. Wrong. Some years carnival takes place in March. He’s cute, but hardly one of the big five. 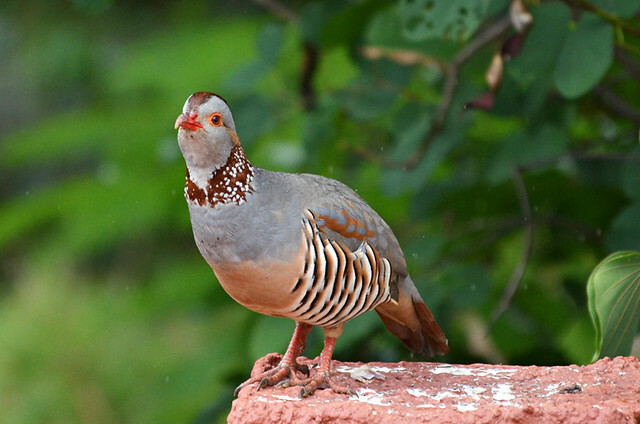 Occasionally articles/blogs enthuse about Tenerife’s abundant wildlife. The second I see ‘abundant wildlife’ I know it’s a sponsored post. Unless they consider the odd goat and a few birds ‘abundant wildlife’ there’s no way anyone who knows the island would recommend it for its wildlife. Usually this is used in relation to the Anagas. The most recent was about exploring the Corona Forestal which, to be fair, showed the writer had decent research skills. 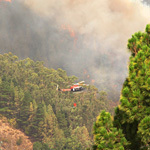 Even people who regularly visit the island might be unfamiliar with the Corona Forestal. El Puertito is nice, but pretty fishing villages aren’t exactly a feature of Costa Adeje’s coastline. Using poetic license to describe resort areas used to be rife on travel company websites. In the last few years they’ve toned descriptors down a bit so the text reflects reality more. Not everyone has moved on with the times. I recently read about Costa Adeje’s coastline being peppered with pretty fishing villages. They’re very well hidden as, apart from El Puertito, we’ve yet to find these pretty fishing villages. Even La Caleta struggles to fit that description these days. If it doesn’t match reality, it’s copywritten. Some just get it spectacularly wrong. 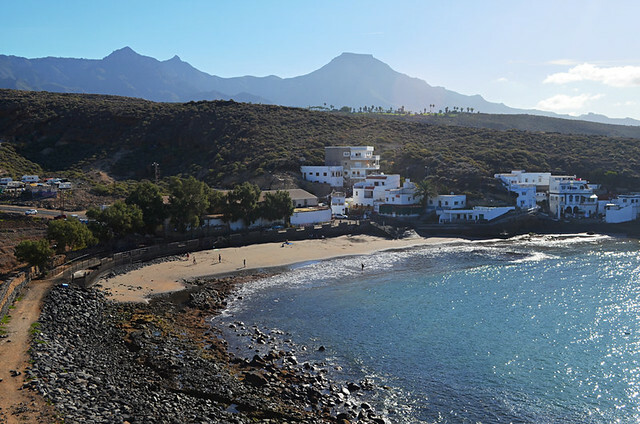 In one case a photograph of a golden beach backed by palm trees and lush jungle was used to show Alcalá in the south west of Tenerife. Anyone who knows Alcalá would spot the mistake instantly (it was the Far East). Another example from a few days ago told readers ‘El Muelle in Puerto de la Cruz is in the centre of Garachico.’ A completely nonsensical sentence. I’ve seen every one of these examples in the last month alone. Sponsored posts getting it badly wrong are all too common in the world of travel writing. Once you know what to look for, it’s quite easy to tell the difference between genuine travel articles and those written by someone who hasn’t visited the places they say they have. Where is Playa de las Américas? And then the forest on the other side of the valley in front of us simply exploded.